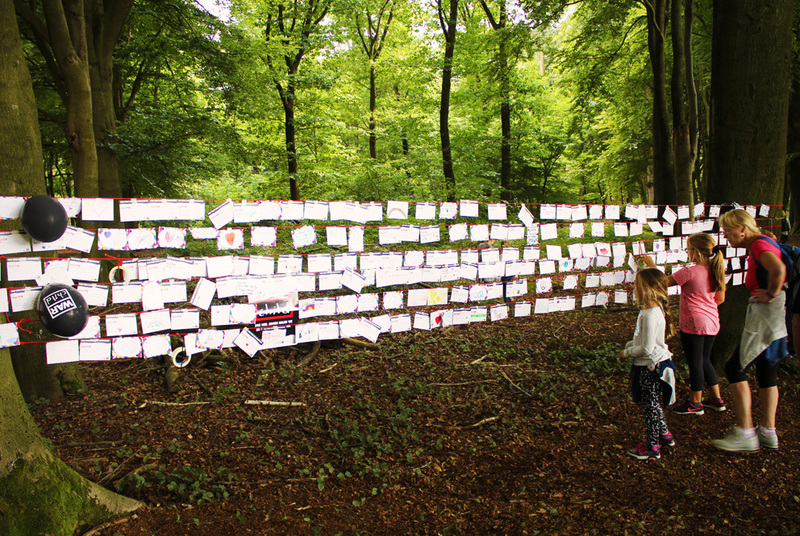 Every year in the first weekend of September, the memorial walk Airborne takes place in Oosterbeek (near Arnhem), to remember the Battle of Arnhem-Operation Market Garden during WW2. This walk is the biggest one day march in the world, with more than 30.000 participants. In the last 8 years, the Scarabee Foundation invites artists to make an art object to interact with the participants of the memorial march. Nowadays the walk is not only a memorial walk, but also a walk about today’s freedom. 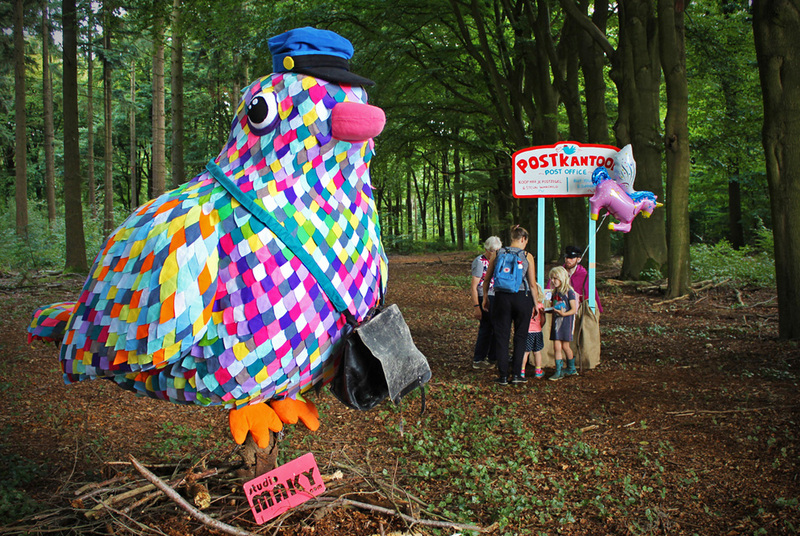 Our project ‘Post Pigeon – write a Postcard for Freedom’ (Postduif – Schrijf een Kaartje voor de Vrijheid) was chosen to be shown on the 10 km hiking route. Our main concept was to let the participants think about today’s freedom. 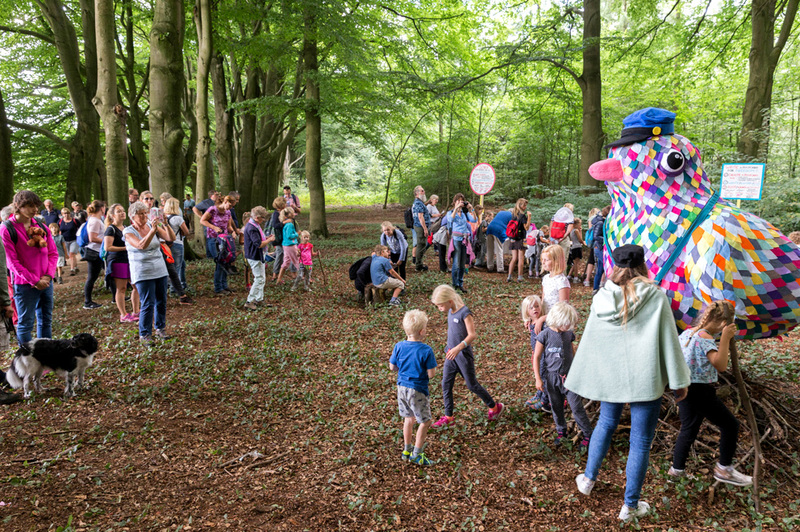 Because of the short distance marching route, a great number of families and children participated in this hike. 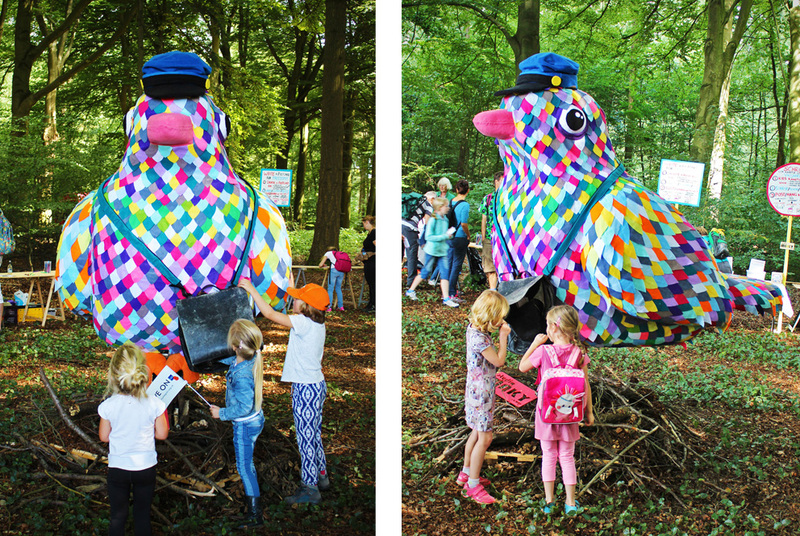 We built a 2,30 m colorful post pigeon as a symbol for freedom and communication in old times. 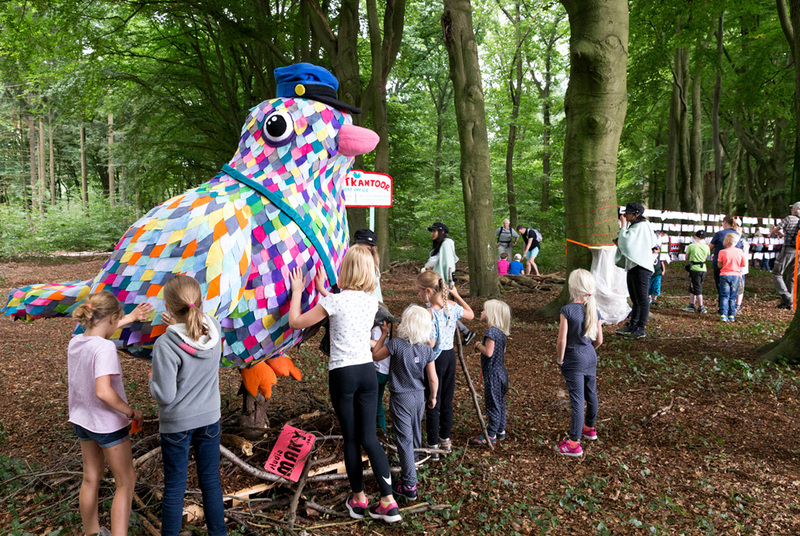 The giant bird was placed in the beautiful forest of Oosterbeek and was an eye catcher for the postcard project. 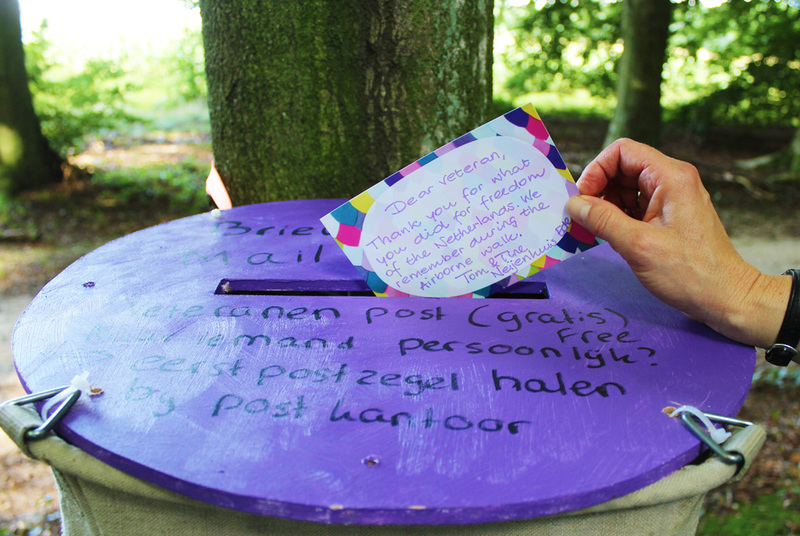 The hikers could post their cards in its mailing bag. Around the Post Pigeon the participants were able to write and draw their card on tables and the postcards could be posted in the special designed mail bags. Our team were all dressed up as special postal helpers in purple and mint green capes to assist the hikers. 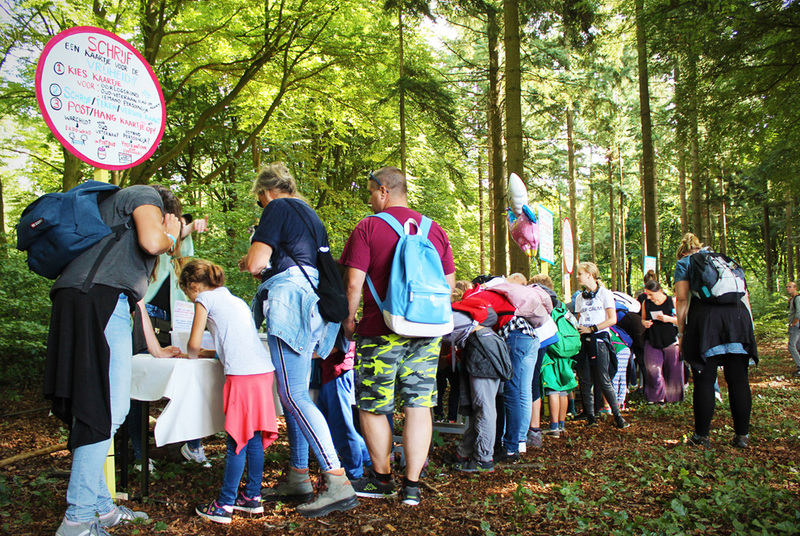 To complete to postal service, we made a mini forest post office where the hikers could buy a stamp for their personal card and visitors were also able to hang their card on the exhibition wall for the war children and old veterans.